The Frame Family: 15 Months, going on 2 years!! i agree, he looks like a big big boy! the standing cowboy pic cracks me up. 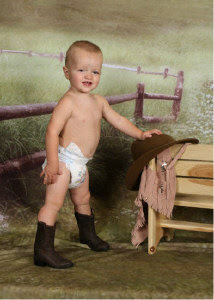 I can't stop laughing... the cowboy standing picture looks like he's assuming the peeing position. I love that he can fit in his boots now... if only I could convince his mom and dad to come to the ranch so he could ride a horse in his boots. That'd be GREAT!! He is adorable! I love his little teeth! So cute! Those are some cute pics! He really does look a lot older. 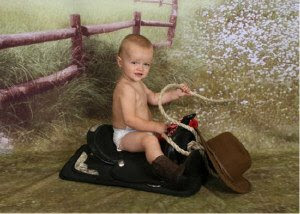 I love the cowboy ones they are so cute and he is such a poser I love it! Awwww! He is so cute! 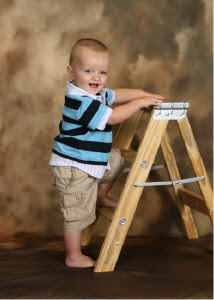 You are not a slacker... he looks like a mini-person not a baby anymore! The pictures are soooooo cute! I hope you saved on for us. He is his Dad's Little Man. The pictures are sooo cute! The one of him standing in the cowboy boots made me laugh out load! 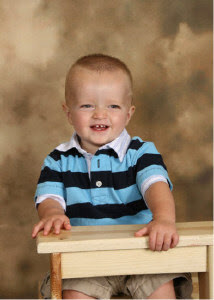 He is such a cute little boy, and growing up so fast! Those picture are to die for. He is so dang cute!!! 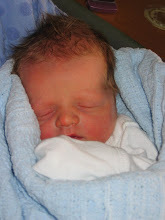 Rachelle, he is darling! I love it. We'll have to go running in a while, I am in CA until the 29th, but I will call you when I get back! Loves. Ko is to cute to be real I swear. Ko is so cute, he does look big too. Can you believe how fast it goes? You are at least better than me. 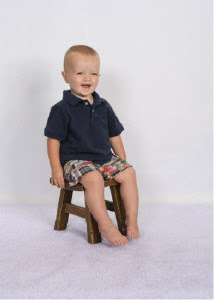 I got Whit's last pictures taken at 5 1/2 months too, but now he's 19 mo and still haven't done it.